Oranienburger Strasse is the street that runs southeast from Friedrichstrassee to Hackescher Markt and is said to run along the north of River Spree. 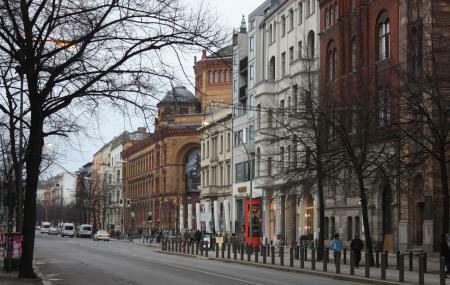 It is an area bustling with daily Berlin commuters. It is a great street just to see the city go about at its own pace and also houses a lot of interesting roads and architectures. You must visit this street to see the liveliness that Berlin has to offer to you even though it comes across as a calm and quaint city in the modern times. Also, visit the popular attractions in the city by following Berlin itinerary 4 days. Best time to visit this region is during evening hours. How popular is Oranienburger Strasse? People normally club together Medical Museum and Berlin Gesundbrunnen Station while planning their visit to Oranienburger Strasse.